Your smile should never make you feel self-conscious! 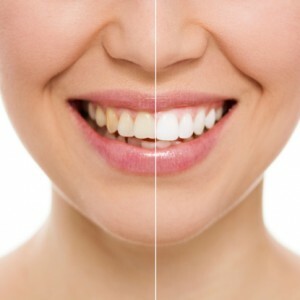 Our office provides a few options for quick teeth whitening so that you can walk out smiling and genuinely proud of it. The results of teeth whitening treatments can last for years depending on your dental hygiene, drinking and/or smoking habits. Common causes of teeth stains include drinking wine, coffee, tea and/or smoking.